It’s go time! The Boss has given you a task to get creative with a new business card, a new leaflet, a new brochure, a new anything! It needs to be printed and delivered, where do you start? Well, you start at the end of course! “That doesn’t make sense…” I hear you all cry. What I mean is you need to think about how your product will look when it’s all printed and finished. Now, I’m not talking aesthetics, or branding, or anything on that scale! I’m talking simply about choosing the right paper that fits what you’re trying to achieve. The paper it’s printed on tells the overall story of what you’re selling. What’s worse is, if you get this wrong then it’s very costly to get this printed again! If you’re not sure what you need then just get in touch for advice or for a sample of a similar printed product. Requesting a sample of something similar will give you a good idea as to what you are going to get when your order is finally delivered. What is your product; is it a brochure, a flyer, a business card, a book, a map? Durability; is this something you think that will be kept for days/months/years, or is it likely it will be used as a coaster? Is it winding up in a Doctor’s waiting room or is it something carried around in a bag all day? What is it about; is it an invitation (a fancy stock perhaps? 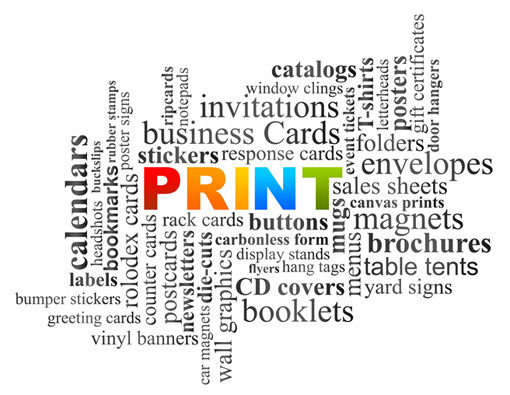 ), a business card (a durable 400gsm stock), a leaflet (perhaps 130gsm/150gsm/170gsm gloss or silk?). Will it need to be perforated, will it need to be glued, will it need to be laminated, will it require extra folds, does it need to be written on? All these questions must be answered so the printer can recommend a paper suitable for the task. Ideal for Photographs/Illustrations, Vibrant Images/Graphs, Brochures/Leaflets/Flyers/Business Cards/Magazines. Ideal for Business Stationery such as Letterheads and Compliment Slips or anything that needs to be written on or overprinted (although a Coated Silk stock is sometimes suitable for this). Colours will always look more vibrant on Coated paper than on Uncoated. This is because Uncoated paper is more pourous than Coated paper and colours tend to saturate into the paper giving them a slightly duller appearance. There really is no rule about what type of paper you should use, I’ve listed some general use above but it’s not as clear cut as that. The paper should be functional to what the product is. Have you ever received a postcard/leaflet/flyer/brochure or something else that was printed and you couldn’t write on it? Ever had a booking form that you had to tear off and then it rips into your completed form? That’s all down to poor paper choice! If your customer cannot write a message or address on their postcard, cannot write on a booking form or tear off that booking form easily, they are going to get pretty frustrated! If your product has anything more than 2 pages then it’s going to have to be folded/binded/stapled/glued. Printing on paper is a tricky business and so is folding that paper! As an example, get yourself 60 or so A4 sheets of paper, stack them neatly with the longest edge facing you, grab both sides of the paper and fold them to the middle, what happened? Did all the edges meet up nicely? No? Well that’s called shingling or creep*. This is what happens when paper is folded in a bunch. Depending on the GSM of the paper chosen, creep can start occuring in paper anywhere from 60 pages to 90 pages. *You as an end user do not have to worry about shingling/creep in your design, that is not your concern, that is the printer’s concern and they will adjust for that when the time comes. But giving them a heads up will certainly help them out and make your project go a lot smoother. 1. Saddle Stitched – They literally throw the product over a machine like a saddle and it’s then stitched (stapled). Saddle stitching requires that all pages can be folded to the finished size and then stitched and trimmed. 2. Perfect Bound – Paper is stacked on top of each other, it can be glued or threadsewn or both. If your paper stock is too heavy and/or you have more than 60-90 pages then you will more than likely need to have it perfect bound. Always check with your printer well in advance as to what stock is available. If they have to order special paper for your product then it may have an affect on the cost and turnaround time. Think about how your product will be finished before you start the project. Make sensible decisions about the paper type. Will it need to be folded? Always discuss with your chosen printer. How about you drop me a comment below and I will endeavour to respond.